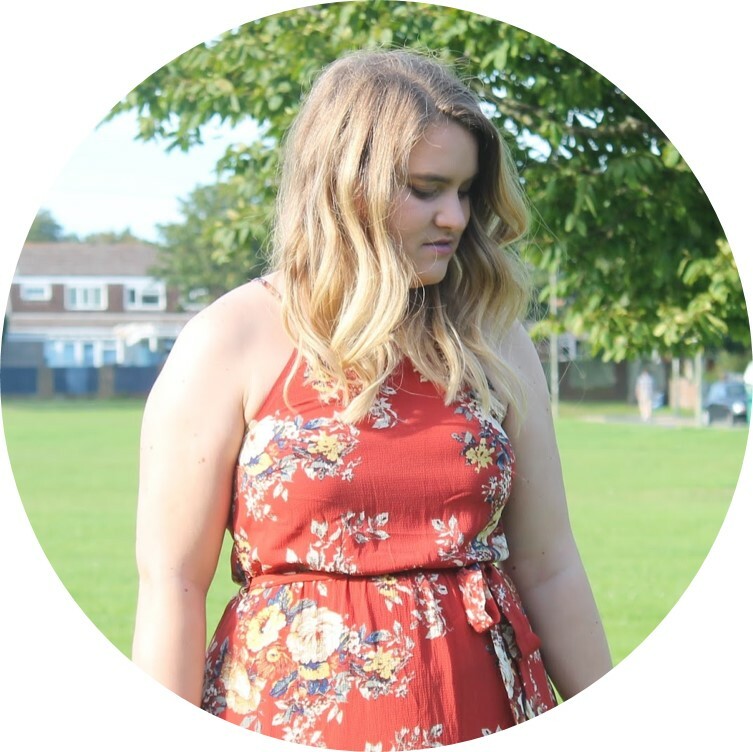 Yay another outfit post! I'm getting there with them I promise! So this is a dress I've had for a little while and it has become a bit of a go-to in my wardrobe. It's really easy to wear, it's a nice winter colour and it's so comfortable. I love the pattern on it which saves it from being boring. 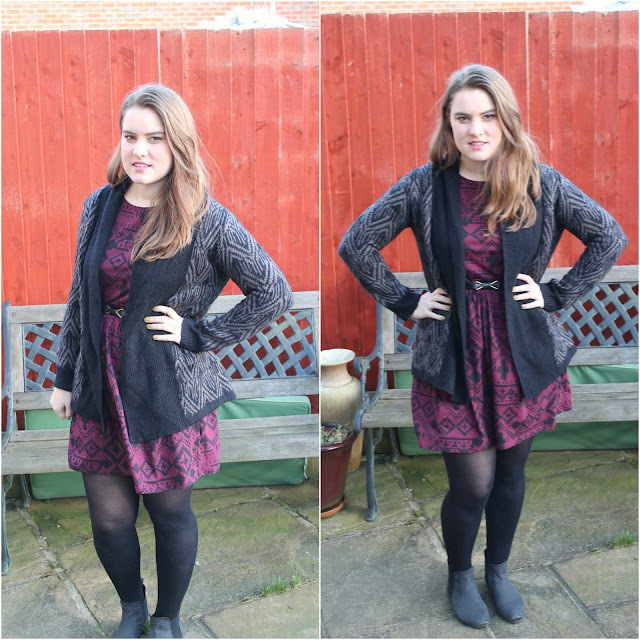 I've teamed it with an aztec type cardigan from Tesco, just to step up the aztec-ness in this outfit! I usually wear this dress with a plain black cardi, but I thought I'd go a bit different for you guys and I think it works really well. The mixed patterns aren't too overwhelming and both stand their own ground. Teamed with my favourite ankle boots and here is my weekend outfit! I have completed contrasted the dark outfit with some weird green polish from Estee Lauder. It's my mum's polish and I thought I would give it a go - jury is out for me on this one atm, who knows - may love it later! What's your weekend outfit? Thoughts on the polish?